My students do things that inspire me. You see, every lesson starts with a plan and ends with value that I could have never prescribed. Some say it's me. I say it's them. Just when I thought the school year was over, I got this text on Remind. It was a picture of an item my student saw in a store. It reminded her of the first lesson of the year. I particularly enjoyed her word choice. "Does this remind you of a certain history lesson?" We used the Remind app during class and after hours, so it doesn't surprise me that she would add a literary giggle. This is the image from the first lesson of the year. The largest circle represents everything that ever happened and the black dot represents what we know. I'm more than pleased to know that this lesson made an impact on one student, if not many more. The Remind text shown above was the best feedback I've ever received from anyone. It showed me that my students learned how to reflect and share their knowledge confidently. If that's what they can do when they leave my class, I've done my job. But this didn't happen overnight. I had to model it. We had to share and reflect in multiple ways to make it part of our learning routines. We all had to struggle. But when the class began to thrive, it was awesome. Check out some of the work they did toward the end of the year as I stepped back and let them take the reins. 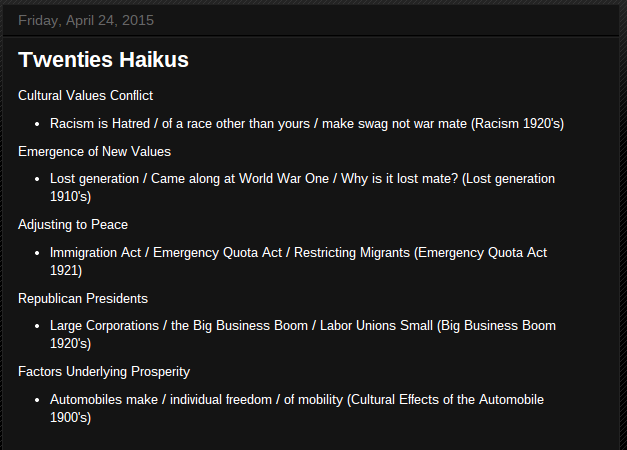 This one was inspired by National Poetry Month (see the poems below, as well). 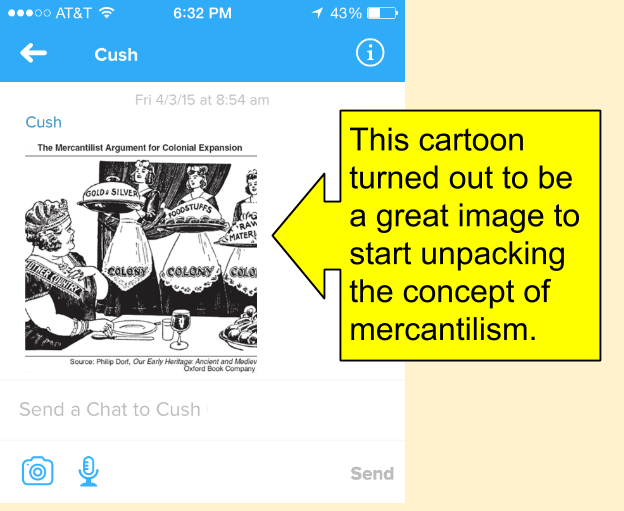 Not long after Remind released Chat, I put the slide presentation making in the hands of my students. I told them to find something on Google images that interests them and use Chat to share. We later learned that if everyone has the Drive app, it's a lot easier to do this in a folder. Then the image viewer in Drive serves as a slide show. The content of these slides were collected in about a minute and a half, and I put it into Slides for students who missed class that day. I found this slide presentation in my Google Drive. As it turns out, one of my students went beyond the expectation and turned her notes into a slide presentation. What's better than that? Isn't it what we want all of our kids to do? 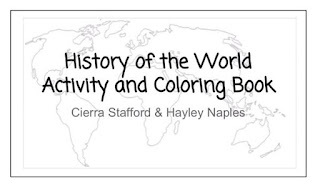 Finally, for a timeline project to summarize the periodization we studied in AP World History, two students made a coloring and activity book. This is what choice is all about. Never in a million years would I think to do something like this. These students are apparently as cool as the Foo Fighters (Field Guide to Food). Nope. They're cooler! Did I get every student? Probably not. Did I introduce learning tools in a strategic manner. Not always. Do I have my priorities in order for next year. You bet! Trimming the fat (piles of initiatives) has been my secret for a long time. But now it's time to step it up and increase my focus. As Mike Schmoker puts it, the core effective practices are common curriculum, sound lessons, and authentic literacy. That's what I'm focused on, so every other initiative is going to have to fit in with those. And they will. I promise. I don't get paid to teach. I get paid to get better at teaching. And it only happens when I know who my students are. When you believe in them, meet them where they are, and expect that they achieve their own version of greatness, they will. Thanks for reading my brag on my students. Mapping isn't just for geography and history classes. 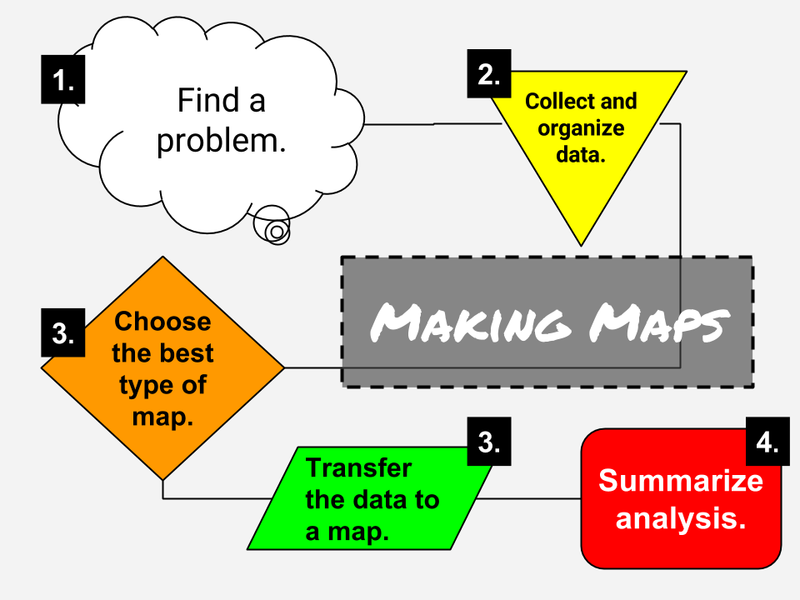 ELA, math, and science can use maps to organize work in a spatial context. In fact, if I were a math or science teacher, requiring students to keep a journal on Google My Maps would be a simple, engaging, and useful way to incorporate content literacy without taking too much time away from application of formulas and testing hypotheses. 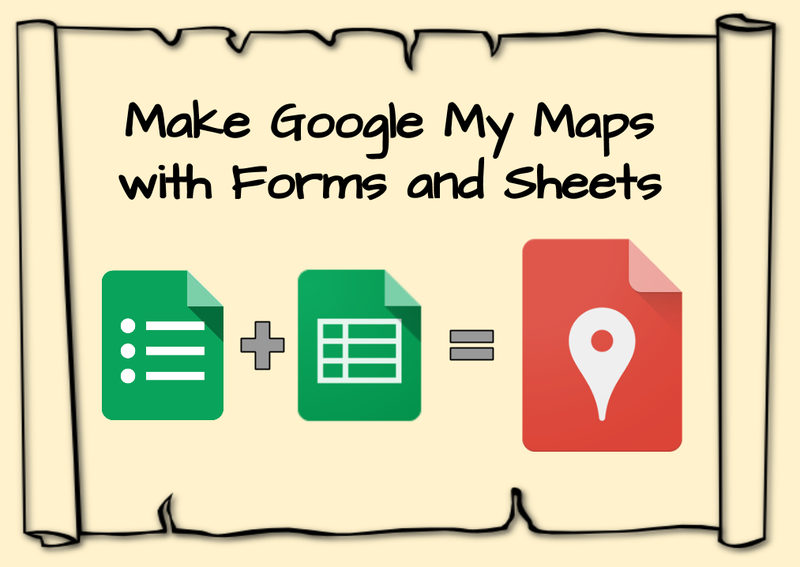 The following ideas are based on an activity that uses Google Forms to collect student work and Sheets to upload data to My Maps. This word makes some of us roll our eyes, right? Well, it doesn't have to be so difficult. Making maps is as rigorous as an activity can get. Let's consider the process and knowledge it takes to make a map. 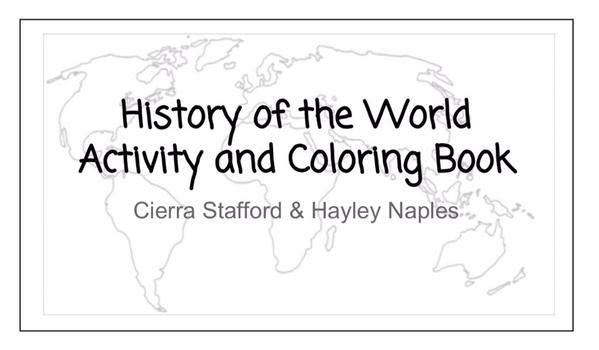 Make one map with contributions from groups of students or individuals. Kids retain and grow far more from contributing something to a larger product than doing it all on their own. Here are the steps as written for SmartBlog on Education. List events and assign them to learning groups. 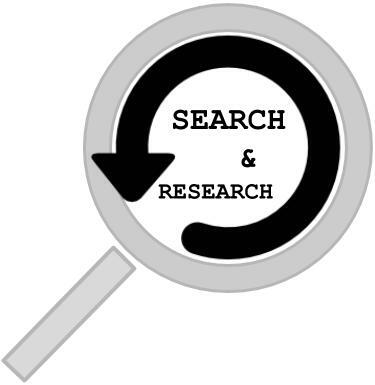 Assign group members research roles based on themes, like legal, religious, education, etc. Research and combine notes to write a summary with one main idea. 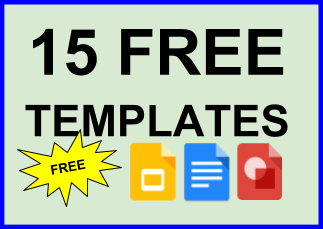 Submit the group summary with Google Forms. This provides a Google Sheet of responses for the next step. 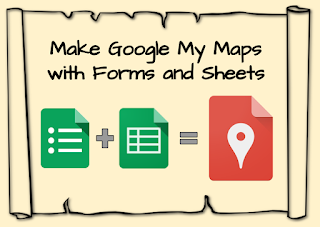 Import the sheet to My Map and provide students a link with editing permission. Finish by changing the color and shape of the map points according to categories of events. Add images and resource links to make the map more useful. 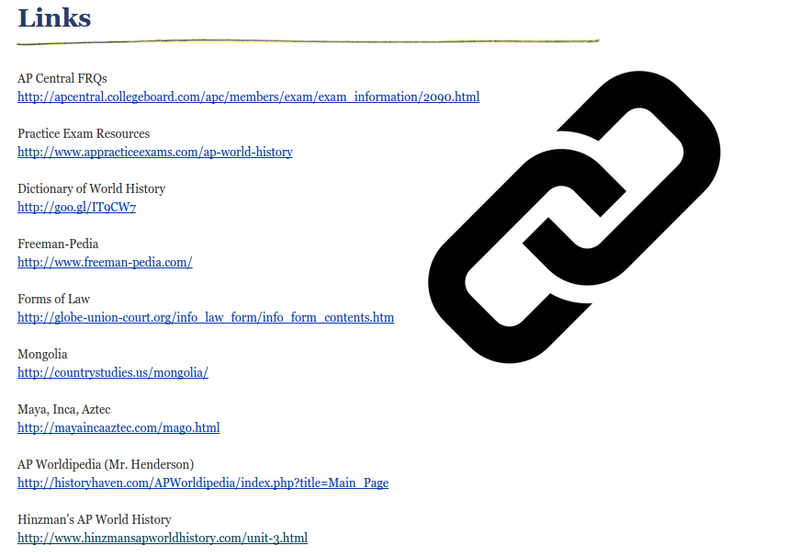 Embed the map on a website or blog to publish. Share the link via social media, QR codes and e-mail. Sometimes we print one with a QR code for the hallway. It's not enough to complete a worksheet and turn it in to an audience of a few. Classtime is best spent coaching students to make things that have the potential to be a resource for anyone in need. When my U.S. history students made a map of key battles of the Civil War, they were able to use the published work to study for summative assessments, as well as IB and AP exams in the future. Learning by working on projects is heavy with application, which is where schooling becomes training and assessment is ongoing. This approach develops the confidence of students, teachers, and parents that the work kids do makes a difference. It's also important to infuse opportunities for students to make choices whenever possible in PBL. This exercises imagination – the ability that Sir Ken Robinson says makes us human. We can't underestimate the power moving information from one format to another. It's basic yet very powerful for critical thinking. Here's few examples of general activities that could work for almost any subject. When I taught ESL world geography, my students learned more confidently when they had to pull information from a text, organize it in a table, and map the locations around the world or in a region. We are long past excuses like, "I'm not good with computers." If we can learn to check email, take pics with our phones, and use desktop publishing software, we can learn a few steps to make My Maps come alive. Our students will need to be confident learning new digital tools to be competitive in the modern economy, and it's our fault if we don't prepare them. 7. ELA Read Non-Fiction, Too! Informational texts under Common Core are about 50/50 before high school and increase to about 70 percent in high school. But this doesn't have to be a drag or take too much away from reading literature. I reviewed the standards and within a few minutes figured out that using the suggestions in this post eats up about five standards related to informational texts. I'll be working in Massachusetts this fall, so I'll be blogging about Common Core tips and tricks. A hypothesis is a prediction that guides experiments. Lee are constantly making predictions when we read and listen, so don't miss out on the opportunity to let your students make formal, testable predictions before they make a map. Since the data is uploaded from sheets and is automatically distributed on the map, the predictions can be confirmed immediately. It's exciting and simple to do. Plus, it's a fun way to start the activity debrief. Thinking globally also goes for concepts and skills. For example, learning about the concept of force in physics is applicable in physical education. An example of map activity for math, history, and ELA (depending on the literature) may be about calculating Cold War missile trajectories using trigonometric functions. Choice is very important to engaging our students, so they could choose the targets and warhead delivery systems, for example. For a more straightforward cross-cureticular example, try making a map to visually represent knowledge of the origins of characters in a novel or biomes for biology. I will say that it may feel chaotic in the beginning, but the teams will settle down soon enough and your classroom will become a place for producing useful tools for learning. This blog is one of my favorite learning spaces. It allows me to clarify my thoughts and amplify my voice, all for the chance that someone might take away something or comment and contribute to my (our) learning process. I found myself writing the same email to people in my department over and over. The messages ranged from how to use a digital tool to questions about grading practices or high-yield strategies. A few colleagues still wanted a face-to-face conversation, and I would get excited when they stopped by. These meetings were a mix of mentoring and coaching sessions, and my blog served as way to document some of the problems we worked out. It was often the first time I had to explain how I approached solving pedagogy problems and found the blog to be a great place to reflect and organize my thoughts. 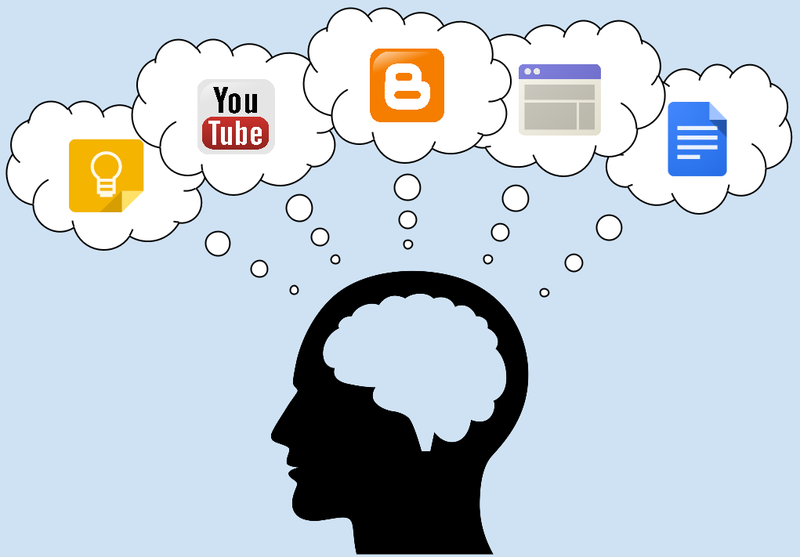 The potential blogging has for connecting with others eventually transferred to our classroom. I was already working on dissolving "the buffer," as Mike Schmoker puts it, and decided the walls had to come down. Flattening a classroom has so many steps until the mind set and routines are in place, and this process is not without its issues. The idea of parents, administrators, and other teachers wielding the ability to see what my students are doing and communicate about it is a bit too much for some people. For my classroom, it's the goal. Although we have a Twitter page and I share reflection videos on YouTube, blogging has been a good place to start sharing what we do. 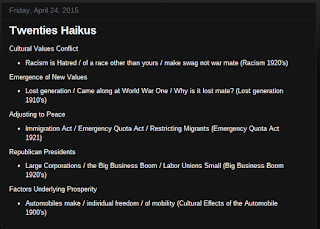 My students blog, I blog, and we showcase student work on a special blog. Don't get the wrong idea. We're not masters at this, and we certainly could learn more about how to connect with others. But we try, we fail, and we learn from our successes as much as our failures. Bottom line: Blogging to learn and blogging to showcase work are a great way to dissolve the classroom walls. For more, check out George Couros's blog at http://georgecouros.ca/blog/. What's more, I encourage parents and principals to blog, as well. After all, if it's worth our time, is it not worth sharing with others? Blogging, for me, has become more than working through a thought process. It has opened my ideas to a responsive audience. Sometimes a post allows my learning network to point me in a direction I haven't thought of. It could be a thought or a resource that I would have never learned about if people didn't read my posts and share their thoughts. 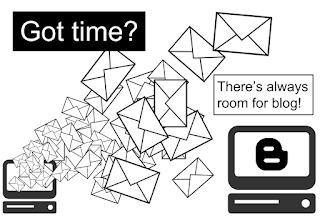 Initially, it was about sending what seemed like a thousand emails all at once. Now, it's about learning. It's about my journey away from the "sage on the stage" approach to teaching toward inquiry- and project-based learning. And through this blog, I don't have to guess as much. The people who read (or don't read) my blog give excellent feedback. 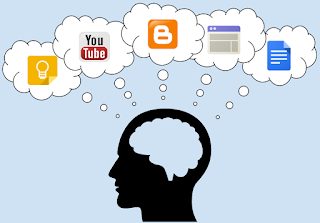 Google Search is a tool that almost every connected learner uses, yet many of us don’t take advantage of its full potential. I learned this lesson a few years ago while my students were searching railroad development to make comparisons between Canada and the United States. From our classroom in Texas, the results looked very limited. Then, I remembered how to access Google in other countries. The browser was filled with digital exhibits linked to museum pages and higher education resources from Canadian institutions. 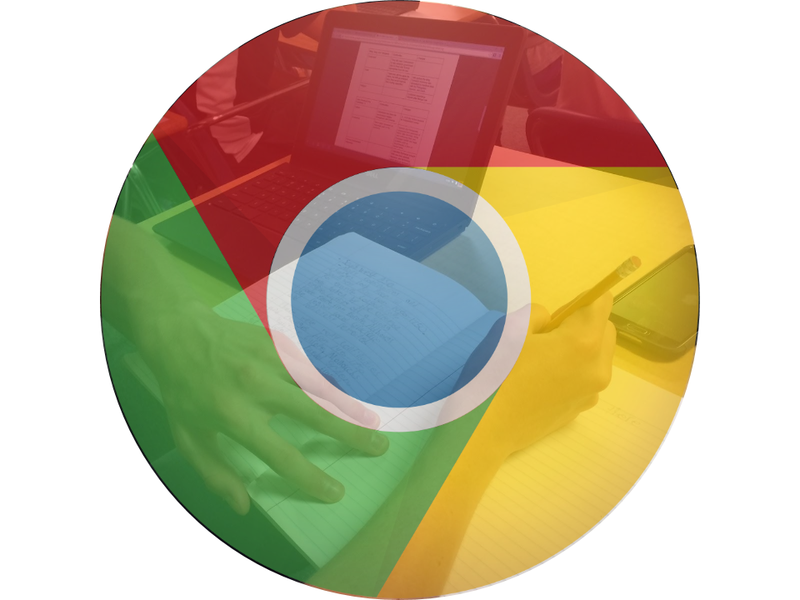 This experience gave me the idea to add Google search to our list of study skills to develop throughout the year. Here’s a few of the basics my students and I have practiced. One of the best ways to get better at searching is to make it an expectation. If you ask my students, they’ll tell you that not a class goes by that we don’t have a fact that needs to be checked or an idea to explore off script. Try sharing the URL of the search results with Chat (on the Remind app). This way, the students can send the teacher or activity leader the link directly and the content can be displayed on the projector screen. If the class would benefit from the link, the teacher can send it to everyone with Remind. Start small and add words to achieve better results. This means you’ll have to break a complicated problem into smaller chunks. Remember studying all those themes in English and social studies? Put them to work analyzing and sorting out the pieces of your puzzle. Want to be a ninja? Search “firm and soft terms” as well as “context terms” to learn how to get great results without feeling like you’re throwing spaghetti at the wall. Use the tabs at the top of the search results to filter the type of content you need. Try searching for sites through images, for example. Click on the image and click “Visit page.” You might find that the sites with quality, engaging images don’t stop at that. This is not precise, but it’s fun. Have your students find images that interest them and relate to the lesson. They can share them by uploading the images to a shared Google Drive folder via the mobile app. I use this two-minute activity as a formative assessment or an instructional transition. It leads to better discussion than using my slide presentations. Experimenting with punctuation is usually the first trick people learn to refine their search. Quotation marks, for example, give you results containing exactly the words within the marks. My favorite is the use of an asterisk as a placeholder for an unknown word in a phrase. Operators are words and punctuation that can narrow your search in specific ways. Sure, you could go to the Advanced Search page, but we’re trying to be ninjas. Plus, I'm pretty sure Google is done with the advance search option. You watch. Everyone will soon be expected to use operators or live with mediocrity. 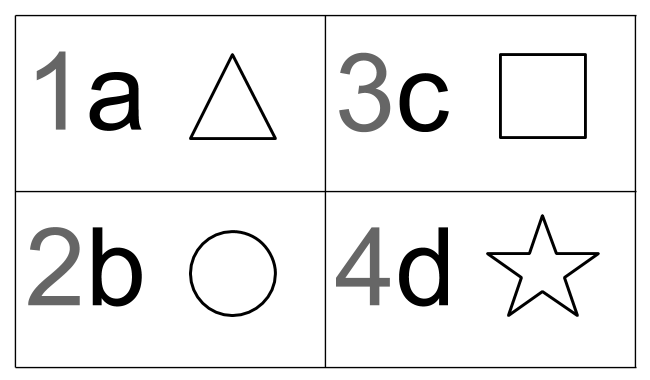 Common operators include site:, link:, and related:. For example, if a student needs to research the underground railroad, why not carry it beyond the U.S. border into Canada? Include “site:.ca” in the search and Canadian sites will show in the results. 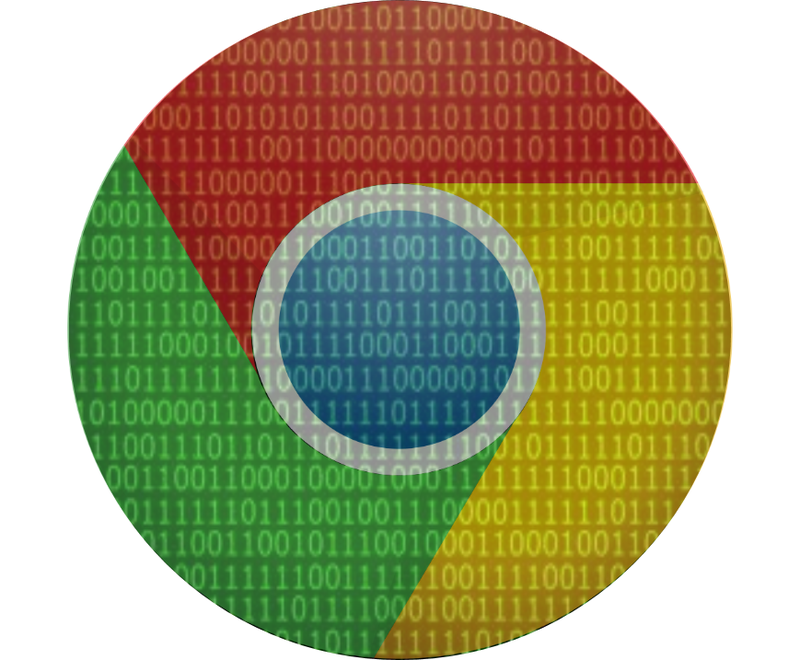 A search ninja would refer to the example above as sites containing the country code top-level domain (.ca). Replace the .com in google.com with the country code. This one’s the star on the list. It’s the keyboard shortcut to search a document in almost any software, including browsers. I used to carve up curriculum documents for my students and save them to pdfs to share on my website. That’s a lot of work on my part, and it’s the wrong kind of work for a teacher. Make it a classroom routine to search documents online and have students bookmark them or do whatever they do to make retrieval easy. Instead of giving page numbers for every assignment, provide section headings that students can search with the Ctrl F shortcut. This can work on PDFs, too. Five thousand pages of legal codes are no problem for a search ninja. I’m still amazed at how many people don’t use this shortcut all the time. For lesson plans and a formal approach to learning about Google Search, go to Basic Search Education. You’ll find all the resources you need to turn your students into search ninjas. As classrooms use Google Apps more regularly, they'll begin to come up with more efficient ways to work and share. Some of these ideas may already be a part of your routine. The mouse is great, but it will eat you up if you have to produce a lot of work quickly, especially if you're making comments on multiple student docs. Ctrl C is copy and Ctrl V is paste. These are very common, but don't forget to save your work with Ctrl S (unless Google does it for you). But the star of this show is the comment shortcut – Ctrl Alt M. Why this one? If you've ever had to mark 120 two-page essays and make comments, you'll know exactly why this is the shortcut for teachers to know. Speaking of comments, you can stylize your comment text with italics, bold, or strike through. Stylizing comments makes it easier to read more comments in a shorter amount of time. Plus, you can impress your coworkers during the next meeting. Don't make sharing documents more than it needs to be. Make a folder just for sharing files with students and provide access via link with view or edit options, depending on what you need them to do. It's like a wormhole to their work space without having to go through all the options every time. I shared my classwork folders via link through Google Classroom because my students already had to sign in. It wasn't like anyone in the world could access the folder. Classroom provided a reasonable layer of security. 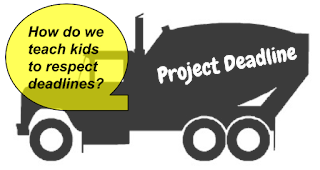 Not finished with a lesson plan or project requirements? Share the link to the Google Doc anyway. Live links take away the need to update a website manually every time there's a change. This past year, I wrote the standards in question format into a Doc and linked readings, images, videos, and websites. It worked so well that I used the unit doc instead of a slide presentation. 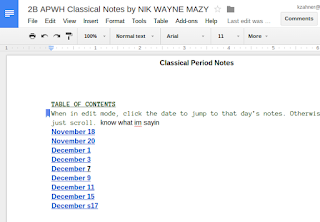 Here's a unit menu for the Post-Classical Period. Use one doc for your whole class. Insert a table that allows individuals or groups to make their contribution without typing in anyone else's space. Drawing isn't Photoshop, but it's quick and good enough. I have the Adobe Suite and prefer Drawing because it almost always has what I need. Is YouTube not available to your students at school? Upload videos to Drive and share the link. Better yet, provide the link on a Doc that has guiding questions for discussion or note-taking (see #4). The videos will play in Drive. I used to make a separate menu document for each unit. It had guiding questions by standard, images, and links to websites and readings. Now, I make one document with a Table of Contents that sends users to the right place. Insert a table of contents. Update the table of contents and the link to the heading appears. Slides is so much more than Google's version of PPT. Here's 10 ways to use Slides. The last chunk of text on a doc URL is "edit." Change "edit" to copy on the doc URL and share it if you want to ensure that the recipient makes a copy. 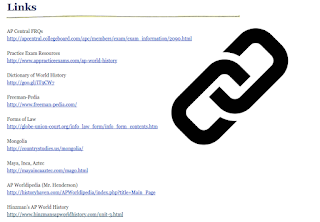 When the "copy" link is clicked, users will be prompted to make a copy. Cell phones are not going away. In fact, they are changing how the most competitive people are working and learning. This has left many people wondering if they should be allowed in schools. The question is not whether or not they should be allowed in schools. It's whether schools are supporting teachers through training they can use to adapt the their lessons to new technology. 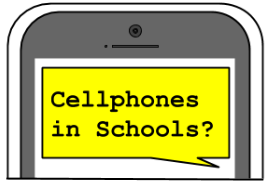 I’ve found it helpful to use cell phones in a variety of ways to establish a routine of learning with phones instead being distracted by them. Here's my list, which also works with iPod Touch, iPads, Android tablets, etc. See also, "10 Ways to Manage Cell Phones in the Classroom"
Texting is the most popular choice for communication. Why not use it for learning and classroom management? Remind has chat feature that allows students, teachers, and parents chat safely – without revealing phone numbers and by providing a third-party transcript. Skip the PowerPoint! With the Google Drive app, students can find images on the web and drop them in a shared folder. Project the folder on a screen, and click on a photo to start a slide show of images that interest your students. I know what you're thinking. Not all of my students have smartphones. Write a grant or try Donors Choose, but enough with the excuses. 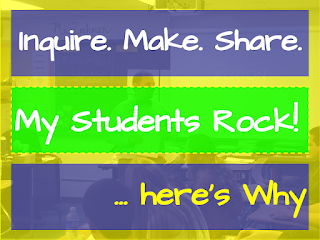 Don't stop at images, use Today's Meet, Remind, or Poll Everywhere to collect summaries, links, and questions from your students. Most of my students use the Remind app because they can all share all of the above with one tool that they already need for communication. 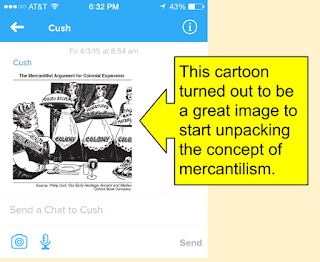 See also Crowdsourcing | Students as Contributors with #RemindChat. It used to be that the lesson content was bound by what the teacher provided. But the unanswered questions don't have to float in curiosity too long if a classroom routine includes using cell phones to look up facts. Poll Everywhere is the most versitle digital assessment platform because it provides users with several ways to respond, including short message via non-smartphone. 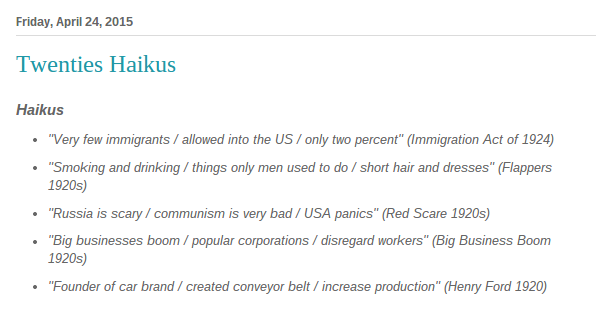 Try using Poll Everywhere to collect vocabulary terms to generate a list of concern words. Project the responses using the word cloud option to instantly see which words share more concern. See also 10 Digital Tools for Formative Assessment. How can we teach our kids how to make good choices with mobile technology if they only use it to gossip and send selfies? Students need to associate using their phones with more than chatting with their friends. Even though they might look up answers to everyday questions, it's the job of a teacher to ensure that our kids can evaluate and compare sources to establish credibility. For more on responsible use, see Nine Elements of Digital Citizenship. How harmful glowing screens are to health is still up for debate. The most compelling evidence has suggested that screens versus paper has a lot to do with the angle of view – whether our eyes are facing down or forward. One of the benefits of reading on a smartphone is the reduced amount of text on the screen and the narrow rows. These restrictions can help readers whose eyes wander around the page stay focused. 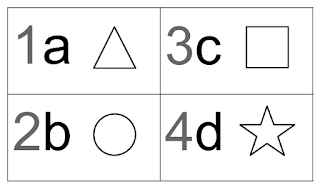 This problem can be intensified by learning differences such as dyslexia and ADHD, for example. Math. Reading. Science. Art. History. You can find free (or inexpensive) apps for all of these subjects, and more. A recent Boston Globe article by Linda Matchan shares a couple of examples. How much would these tools cost a school 10 (or even five) years ago? Now, look at the possibilities. Simple note-taking apps that come installed in phones should not be overlooked. They can be just as powerful for reflecting and making notes of observations as the more sophisticated apps like OneNote or Evernote. Personally, I do most of my writing on the Google Docs app and the iPhone notes app. For example, the copy for this post was written using the Google Docs app on my iPhone while flying to Salt Lake (sans WiFI). Writing good social media posts takes knowledge and skill. Most teenagers have social media accounts and most of them don't want to use their account for school. That's why I made a Twitter handle for my class. I got the idea to use Twitter for my history class from a history teacher in California. The idea to make a profile for my class came from elementary and middle school teachers who made profiles for their classes. It's a great to connect with other classrooms around the World or even down the hall. With social media, we can get back to the schoolhouse model in which students of all ages are working together. Although the "sage on the stage" is losing relevance, we can't "throw the baby out with the bath water." Teachers need support. They need a place to start and a learning community with which to grow. Our kids don't deserve to lose their technology of choice and the good teachers our communities rely on to nurture our future. We reflect often. It's a critical part of the learning process. But what makes some reflections more useful than others is the ability to revisit them and build knowledge. Since critical reflections can happen anywhere and anytime, it's important that you have the right tool for the way you like to work. Here are my favorite Google tools that work great for reflecting. Keeping a weblog (or blog) of your experiences, interests, and knowledge is a productive way to reflect and develop your voice. Blogger is a simple platform that every Google account holder has just a click away. For monitoring your kids or sharing blog authorship, explore the settings to add authors or automatically receive emails when posts and comments are published. To keep your audience on a short leash, make a doc for yourself or to share with others. Docs is the best option on this list if an unshared diary best supports the way you learn. But don't shy too far from the share options. You may find that your ideas are worth it. Announcement pages are a great way to include a journal or diary as part of your website. Since the page access can be controlled, you won't have to worry about the wrong eyes prying. If you are the type to make lists, try Keep. You can add labels to notes so you can cross catalog your ideas in as many ways necessary. Is your list ready to become a more formal document? Keep allows you to convert a note to a doc. I love the power of video. It leaves us so vulnerable and honest. YouTube is set up to do more than broadcast your masterpieces. Consider uploading reflection videos that are private or unlisted. If you choose to not list the video, only people with the link can access the video. If you have a set of reflection videos that you want to splice together to produce a more complete work, use the YouTube video editing and annotation tools to make your final product. Learning starts with asking questions, and it becomes knowledge with reflection. Many other activities occur to take us from problem to solution, but documentation and sharing of both questioning and reflection can be facilitated with Google Apps. The construction industry has deadlines that almost always relate to completing one part of a project so the next can begin. For example, when a concrete truck is ordered for a specific delivery date, the forms and steel work must be in place. Ordering the concrete is like teachers scheduling presentations or exhibitions. 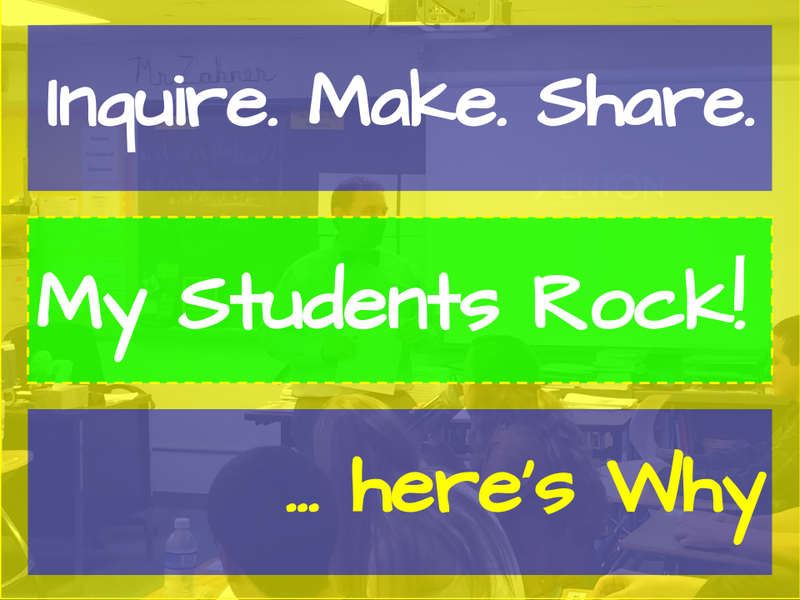 If a student doesn't have their product, they better be amazing talkers and know their stuff because the people are coming – ready or not. Since most of the major professional deadlines are project based, I let my students use their final projects on their last set of essay quizzes. All but two kids completed the project by the deadline, which is a vast improvement since earlier in the year. Specifically, it's 99.98 percent success. But that's not the story from some of the classrooms on my campus. Teachers often ask how to motivate students if we can't take points off for late work or give them a zero. Here's what I think about it. The question we need to ask ourselves is whether we should hold students to point penalties or loss of opportunity as the go-to consequences. Is a loss of points the best we can do? Does it even work? I realize that kids need to prove themselves before they can miss a deadline here and there, but let's move beyond tying the consequence to grades. It makes it harder for them to recover, which can give them plenty of reason to give up. A common counter argument is that it's just like financial penalties. No it's not. Comparing learning and earning is like comparing religion and science – the more you understand the two, the less the comparison makes sense. Making completion meaningful in a timely way by relating it to other products in the learning process is a great place to start. Just remember to order the concrete. Inflation occurs when teachers give extra credit points. The opposite occurs when points are taken off for turning papers in late. Neither of these practices lead to accurate grade reporting. The problem with taking off points for any reason is that it deflates the summary grade, which makes it inaccurate – defeating the purpose of reporting grades. For more on this issue, check out Ken O'Connor's work (Twitter @kenoc7). Many teachers reject this logic and insist that it's to teach the kids a lesson. The problem is in the frequency of repeat offenders. The same kids who turn in late work continue to do so after receiving penalties. That's why we need to design learning activities and work flow with built-in authentic deadlines. 3. "We need to teach responsibility!" If teachers are to "teach kids a lesson" by imposing punitive deadlines, where is this situation replicated in our professional and daily lives? Even penalties on late payments are a few days after the deadline. 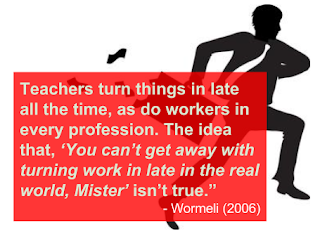 After all, do teachers not turn things in late, too? Dear teachers, Sometimes we turn things in late, but you slack off too. Sincerely, My grades haven't been updated in weeks. As Rick Wormeli puts it, "Teachers turn things in late all the time." I realize that they don't like hearing that, but ask any administrator and then tell me otherwise. Kids watch us and learn. They see that we are organized and timely and strive to do the same, provided we've built healthy relationships with our students. Maybe you don't see it the year they're with you, but it may surface in their professional life. Instead of completing notes or worksheets, my students do small projects that that often leave them with a resource. It could be a Quizlet deck, interactive map, or a timeline, for example. Letting students use their products to complete assessments takes away the question, "How many points is this worth?" They are also more likely to work hard on it because of how useful it will be. No grade will motivate students in the same way. Deadlines are important, so they should be part of the learning activity design like common examples in the professional world. Don't hesitate to "order the concrete."